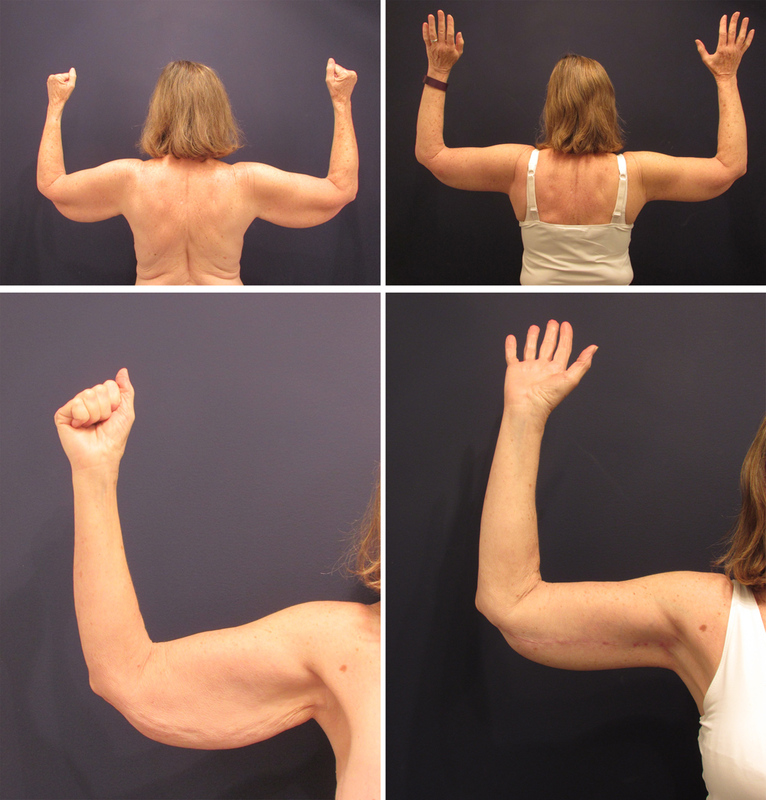 This woman underwent armlift to achieve better fit in clothing and reduce motion in her arm skin. She is photographed 6 months after surgery. 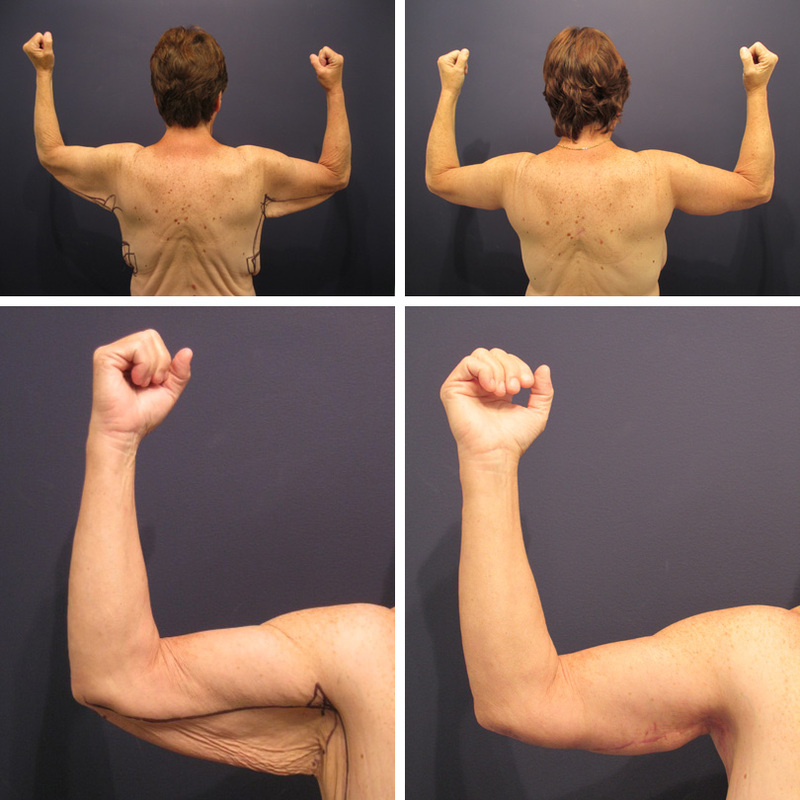 This woman underwent armlift, including removing skin of the arm in continuity with the side of the chest. 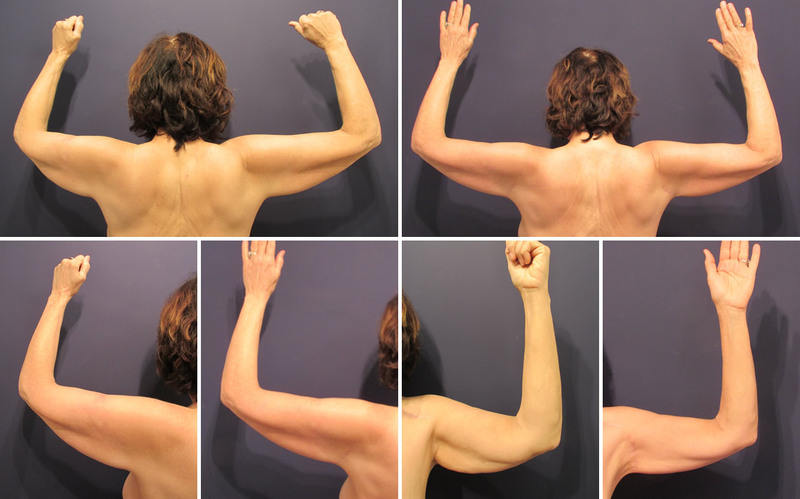 This not only improved aesthetics of her arm but also of her upper back. She is photographed 7 months after surgery. This woman has skin redundancy in the arm. She did not desire the traditional scar along the length of the arm and wanted a more limited scar in her underarm. She has a very aesthetic scar with a nice result. She is photographed one year later. 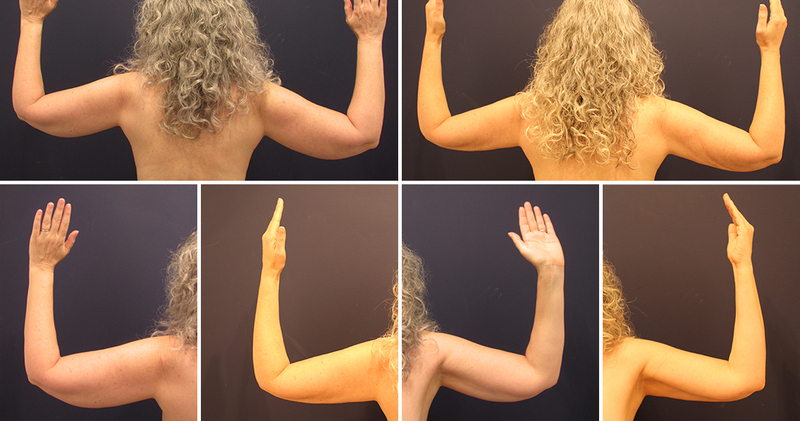 This woman had liposuction performed on her arms. 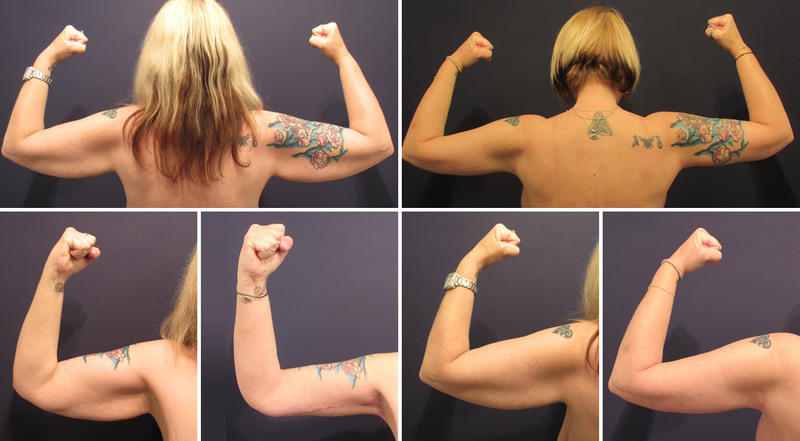 She is very pleased, photographed 18 months from the original surgery. 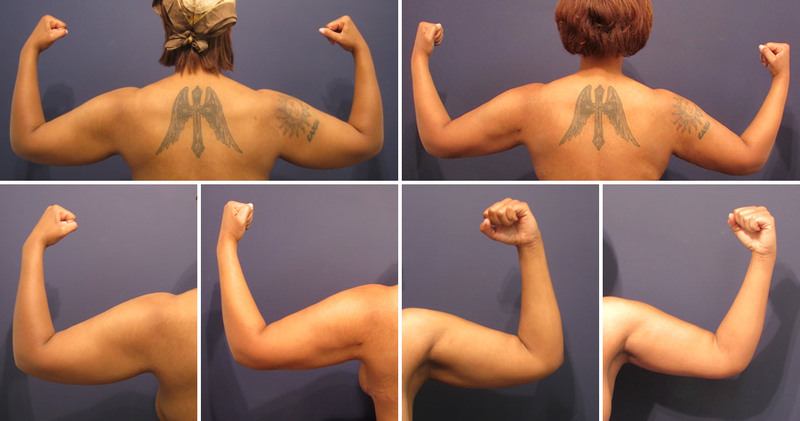 This woman underwent arm lipo for improved contour. She is photographed 1 year later. This woman underwent bariatric surgery and lost over 100 lbs. 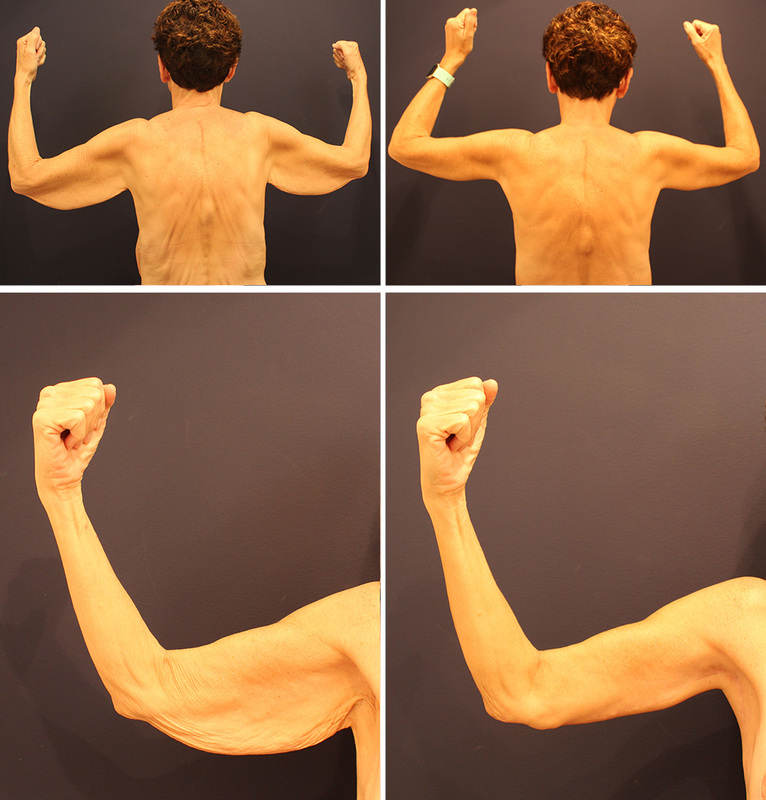 She underwent tummy tuck with muscle repair. She is photographed one year out.